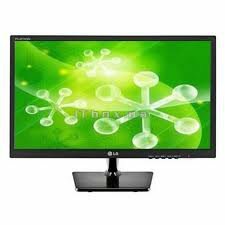 LG E1942C-BN - it 18.5 inch monitor with a resolution of HD (1366x768). Technology MEGA contrast from LG allows to achieve a high level of contrast and, accordingly, a high level of clarity and brightness of the image. The reaction time of the matrix 1.5 MS. The contrast of the display 5 000 000:1 (DFC) and brightness display, 200 CD/m2. Dimensions: 441 x 35 x 275 mm. Weight: 2.1 kg.